Ohmygoodness, you guys. I generally turn my nose up at mug cakes as they just can’t compare to the real thing, but I make an exception for this. 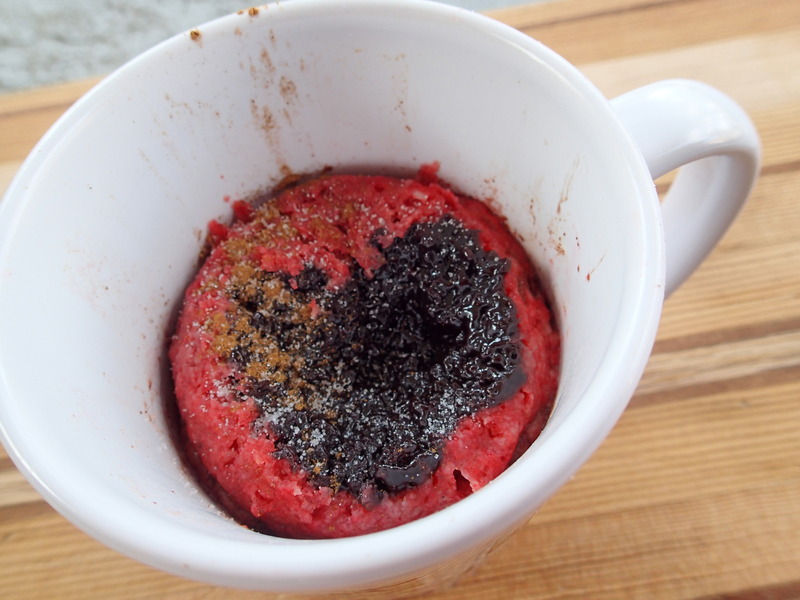 Side note: I’m pretty sure I’m the original mug cake creator. I totally tried to make a single serve cake in the microwave one time when I was in grade school and my parents were distracted with other things. In fact, that original experience may contribute to my dislike of the genre. Anyway, this little gem is a piece of heaven in a mug. Once you’ve acquired all the ingredients you might actually want to lock them up because you won’t be able to stop yourself from eating at least one of these a day! Take the 1/4 C cookie dough, cake mix, and cinnamon sugar mixture. Knead together until well combined. Set aside. Mix the rest of the ingredients in your mug. 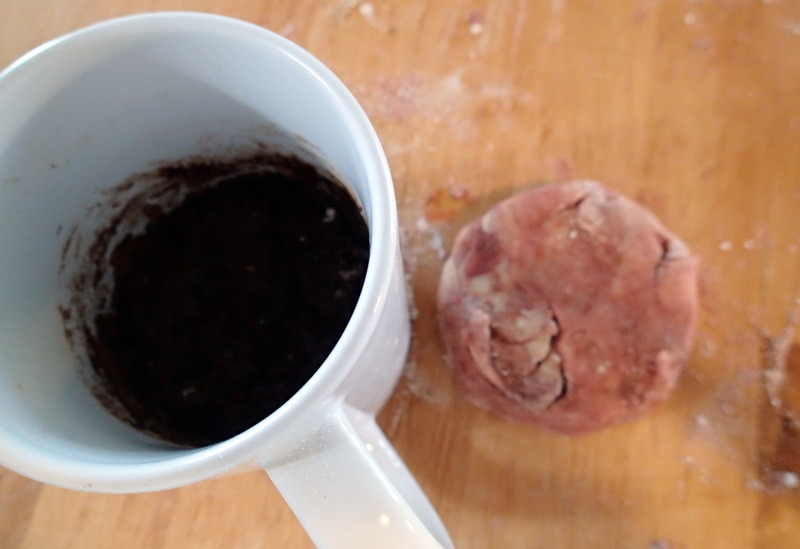 Shape the cookie dough mixture into a circle that will fit in the mug, then lay on top of the brownie mixture. Cook for 60-90 seconds or until the brownie mixture starts to bubble up around the cookie dough. Top with additional cinnamon sugar mixture and dig in! In case you couldn’t tell, this was a fun little satire for April Fools’ Day. We tend to be simple folk. Mixing multiple desserts or using cake mixes isn’t really our style, even when it’s terribly popular. In case it isn’t obvious, we’ve never been particularly good at being popular. 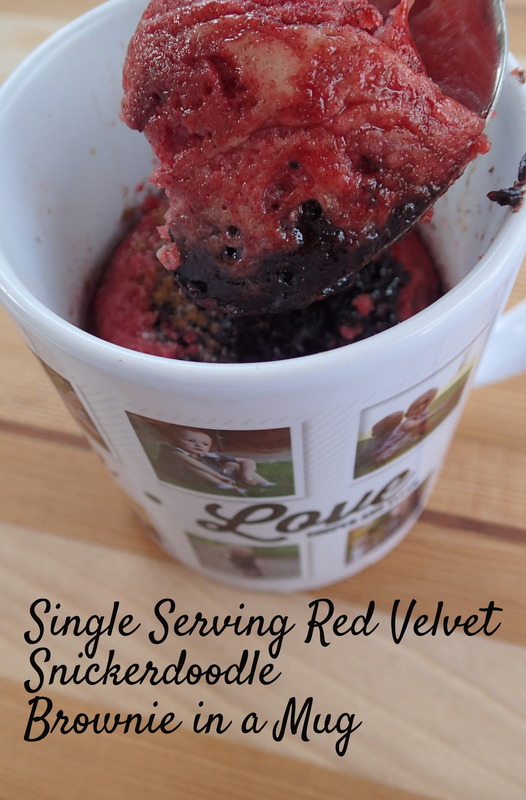 Ironically, this morning when I was getting ready to write the post (“never had such words poured from my [keyboard] with such feverish fluidity”), I logged onto Pinterest and my first recommended pin was for red velvet oreo brownies. I had to click through to see if someone else was playing jokes too (they weren’t) and had myself a good chuckle and closed the tab before I felt sick to my stomach. For the record, I actually taste tested this recipe. Other than being kind of weird, it wasn’t completely unpalatable. Still, if the “recipe” got you salivating, allow me to redirect you to a few components of the recipe that won’t assault your tastebuds: our delicious snickerdoodles or our favorite brownies. If it was the red velvet that hooked you, you’ll have to look somewhere else though as we still haven’t figured that one out. Happy April Fools’ Day!